COLD START, WILL IT RUN? 1980 Chevy C30 Crew Cab Dually Pickup!! Take a look at this, COLD START, WILL IT RUN? 1980 Chevy C30 Crew Cab Dually Pickup!! These days as the Midwest is pummeled by a viscous cold spell that’s closing down the entire area, we found a truck that has been sitting there for about five days, all buried in snow, that’s trying to start and sputter to life. The vehicle in question is a 1980 Chevy C30 with a Crew Cab, which the owner purchased just five days ago, right before the snow started coming down on it. After parking it, he apparently has not paid any attention to it, and is now trying to see if this thing will even start. We should remember however that this is a vehicle that is nearly four decades old and even the owner himself is not sure about the state of the battery that is in it. So let’s all join him as he pumps the gas and in hope that the truck will start, and also take a look at that tach as it spins backwards into 5 000 rpms, not knowing what to do with itself. 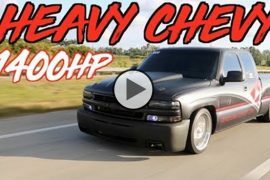 1400HP Turbo Silverado Extended Cab?! The Heavy Chevy!! 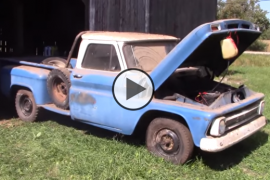 Super Clean Chevy C10 Pick Up Has a Super Fast Secret Under the Hood! Next articleFastest 405 Daily Driver? 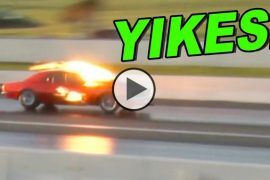 Murder Nova driving Man Van at Winter Meltdown No Prep!!! 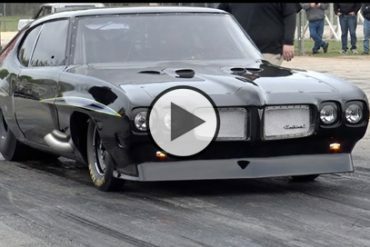 Street Outlaws Star Big Chief Leaves Clocks on in Test Pass with Updated Crow! !